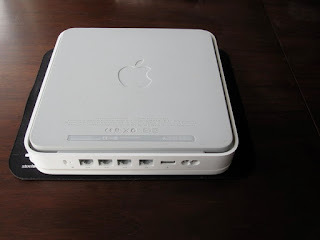 I used to have a first-generation 500 GB Time Capsule. I still have it. Except now, it's a 1 TB Time Capsule. 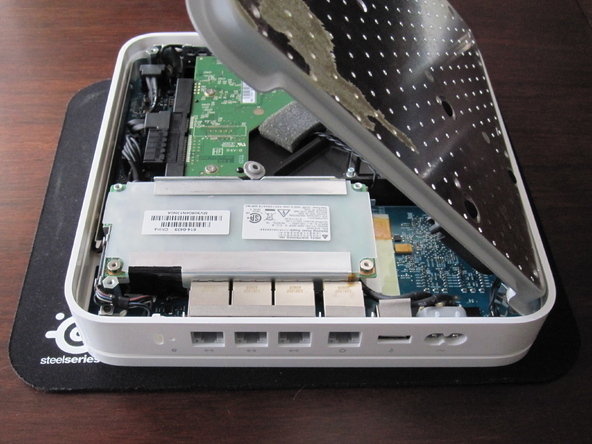 Maybe your original Time Capsule disk failed, like mine did - or maybe you just want some more breathing room on your TC disk... either way, replacing and upgrading your Time Capsule hard drive is a simple, cost-effective fix. But don't expect the Geniuses at the Apple Store to fix it. About a year ago, an error message popped up on my iMac, and notified me that my Time Capsule disk was failing. After seeing that message for a few days, I knew that I had to take some sort of action. We're all-digital at the AAAD household - losing our iMac would mean losing our entire music collection, and all of our family photographs and home movies. That stuff isn't really replaceable. We needed an automatic backup system, and the Time Capsule's router capability made it the obvious choice. So I took my Time Capsule down to the Lincoln Park Apple Store at North & Clybourn (a "significant store", BTW - check it out), to see if I could get the Time Capsule repaired. The Genius I spoke with was very helpful - but quick to point out that the Apple Store didn't actually fix Time Capsules. 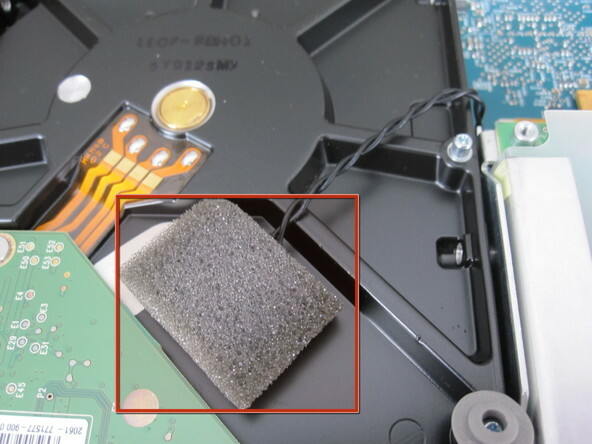 He determined that I knew my way around the insides of a computer, and forwarded me this article from iFixit. It's not *that* easy to break into a Time Capsule. It's probably the first computer repair I ever attempted that required a hair dryer. But I was into that Time Capsule for $300, and I wasn't in the mood to go buy another. So, it was off to Micro Center for a new 1 TB drive. Since this disk was going to be running almost all the time, I went for a low-speed Western Digital "green" drive. Here's how it's done. 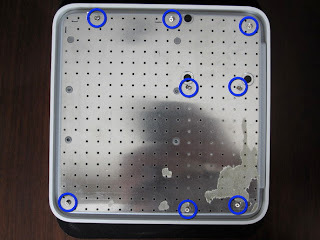 Really, you should use the original iFixit article as your reference - it's far more concise and professional - but I'll add some comments about my own experience, to the steps they've outlined. This was trickier than I'd expected. Start by turning the Time Capsule upside down. The Time Capsule's entire bottom is covered by a rubber casing, which is held in place with adhesive. That adhesive can be weakened with heat. So hold the hair dryer a couple of inches away from the Time Capsule, and get that rubber casing heated up. At the same time, DON'T overheat the unit and break it. It's a balancing act. Start with a corner. Eventually, you'll get one of the corners lifted off, and you can start working your way across the rest of the unit, pulling the rubber piece up, heating as you go. Oh, you thought you were in? Wrong. The rubber piece was just cosmetic! Now that it's gone, you can see the tiny Phillips screws holding the metal bottom onto the Time Capsule. AW MAN. The fan is attached to the BOTTOM PLATE for some reason. And it's only connected by a couple of very weak wires, which are plugged into the circuit board. 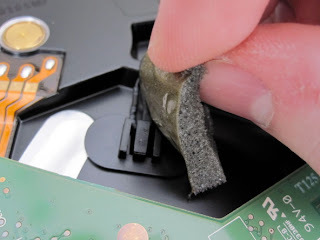 Set the bottom plate down RIGHT NEXT TO the unit, and either disconnect the fan wire from the circuit board with tweezers, or leave it connected. but really, take care not to rip this fan connection. OK, the moment we've been waiting for. But what's this thing attached to the old hard drive? It's a temperature sensor, held in place by a foam rubber piece with adhesive on it. You're going to want to remove it - carefully - because you're also going to want that foam rubber adhesive-thing to stick the sensor to your new drive. Now, you can remove the old drive. If you've ever replaced a HD on an old desktop computer, you know how this is done. 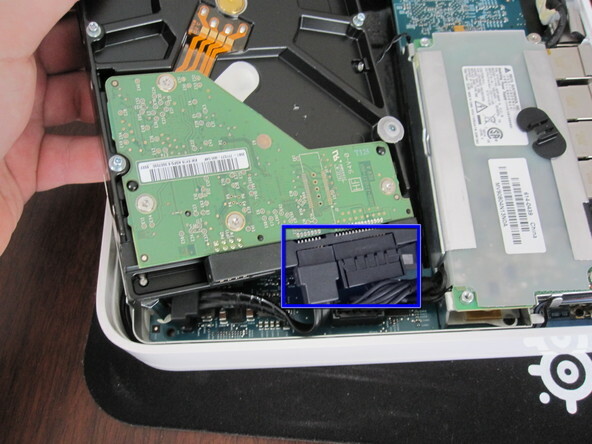 Standard SATA connection, standard desktop-sized HD. Simple. One more thing though - there are some spacer bolts on the old hard drive. 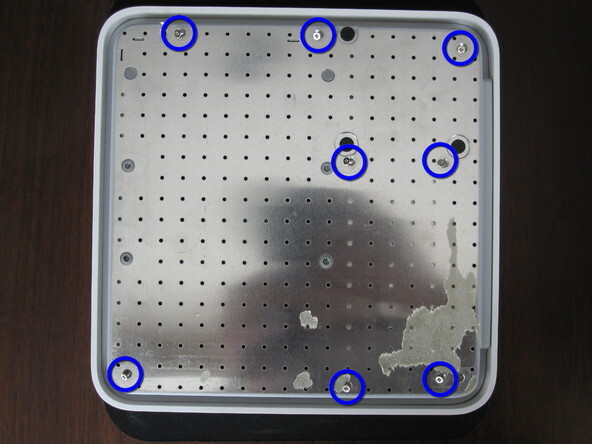 Remove them, and put them in the corresponding spots on your NEW hard drive. Now, do every step listed here in reverse! Connect the SATA connectors to your new drive, and put it into the space you just took the old drive out of. 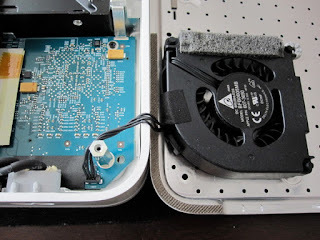 Reattach the fan cable - if you disconnected it - and put the metal bottom plate back into place. 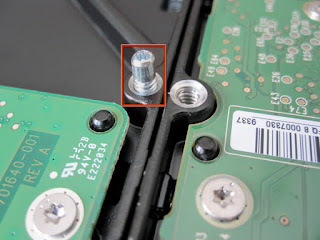 Find your 8 (or 10) Phillips screws, and re-attach the metal bottom plate. Replace the rubber bottom piece - it should still have enough sticky-tackiness to fit right back in place - and to stay there. Now, you'll have to reformat the HDD using the Airport Utility, identify the new disk as your Time Machine disk, and run that (seemingly eternal) first backup all over again. You might even have to run a hard reset on your Time Capsule. But at this point, you'll have a Time Capsule NAS with a brand new drive (probably better and bigger than the one you started with)... and the satisfaction of knowing that you extended the life of an expensive piece of networking equipment! What is the largest drive you can update the 1TB to? Some posts say that 2TB is the largest. Anything over it won't be recognized. I'm not sure. I upgraded from 500GB to a terabyte - but I wasn't as concerned with the extra space as I was with getting the dying drive replaced. Apparently 6TB will work per the last comment in the HD replacement instructions on fixit.